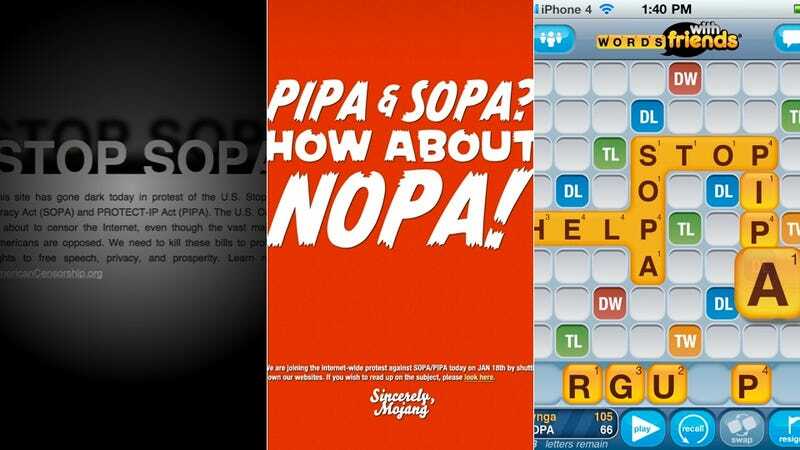 Gaming against SOPA | On a day when Wikipedia and Reddit blocked their content to protest two controversial potentially speech-squelching, Internet-mangling bills—and legislators fell over themselves dropping support for those bills—an online guild, the makers of Minecraft and FarmVille giant Zynga all made their hatred of SOPA and PIPA known. This Wednesday edition of Kotaku's The Moneysaver catches all the offers, promotions and bargains that can't wait until the weekend. The Midweek Moneysaver is brought to you by Dealzon. How's Max Payne supposed to shoot in May's Max Payne 3? How's a third-person shooter supposed to feel as good to control as a first-person shooter? Some of our readers hoped that we would be offline today. Some are upset to see Kotaku online and updating.